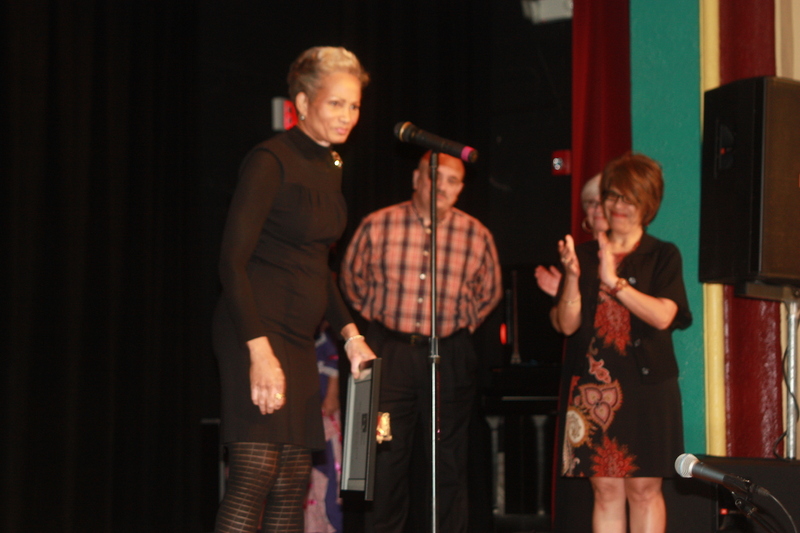 The Seguin Commission on the Arts honored Marika with the 2014 Arts Enrichment Award for her unwavering support and promotion of the arts. 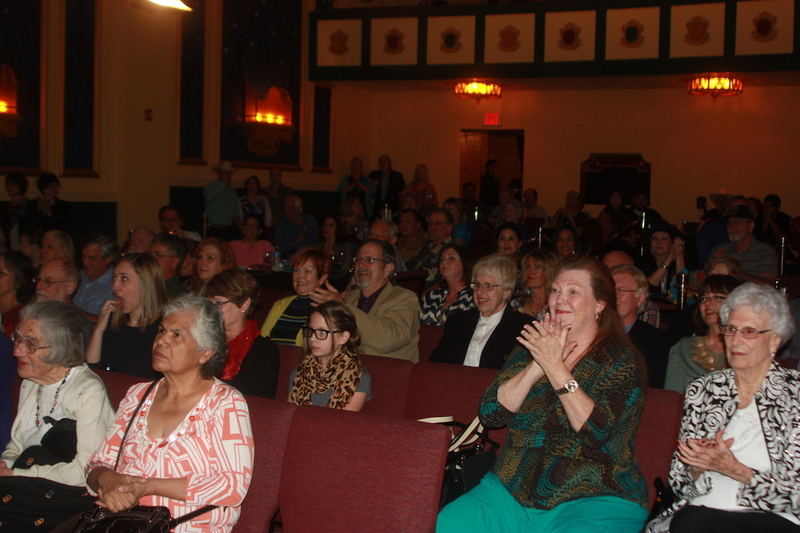 Mayor Don Keil made the announcement at the Texas Theater as part of the ArtsFest event, Pachanga del Arte, the annual fundraiser for the arts in Seguin. 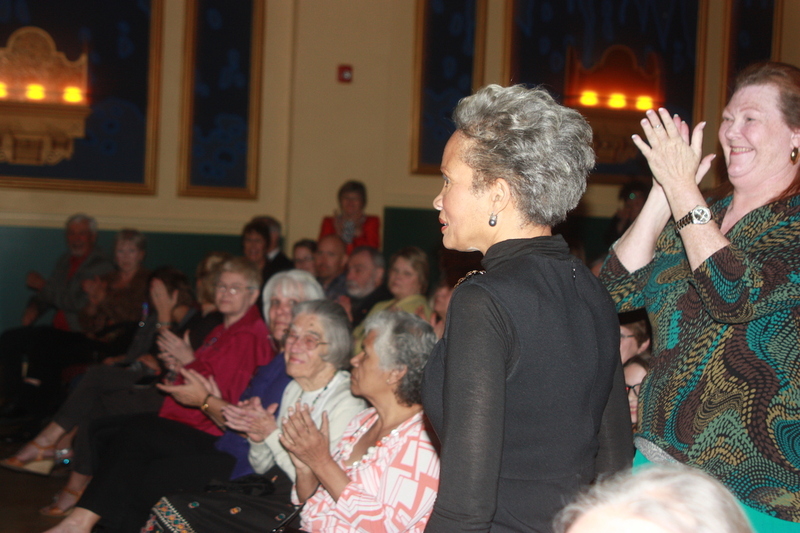 She was awarded a special certificate and an enthusiastic round of applause. in Seguin she has been at the forefront of public art in Seguin. She has spoken about the arts to local groups, exhibited her art work in shows throughout the community, contributed two commissioned sculptures to enhance the public art at Guadalupe Regional Medical Center, and was a key participant in the first ArtsFest, working with children and adults to create a public art piece for Seguin. 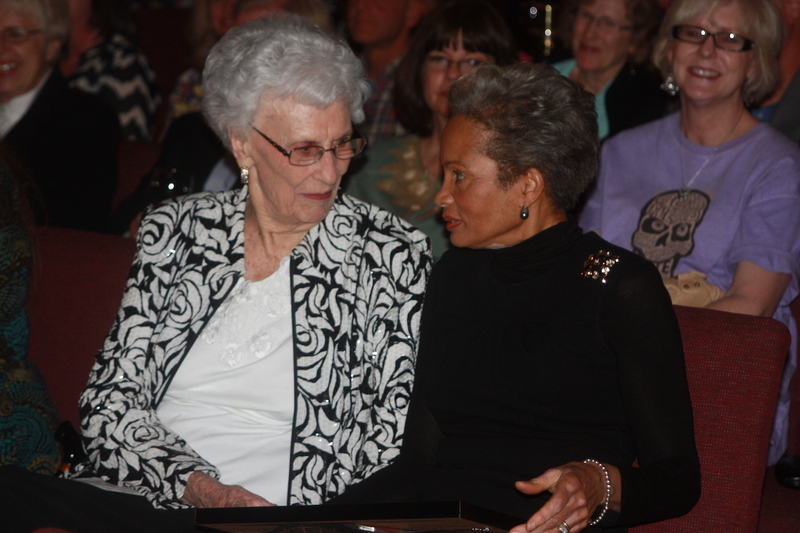 She has taught wood carving classes, helping others discover their artistic talents and was a driving force behind the creation of the Seguin Commission on the Arts as well as the creation of the Bird Sculptures in Walnut Springs Park, raising funds, working with other artists, and creating sculptures that celebrate Seguin’s status as a bird sanctuary. 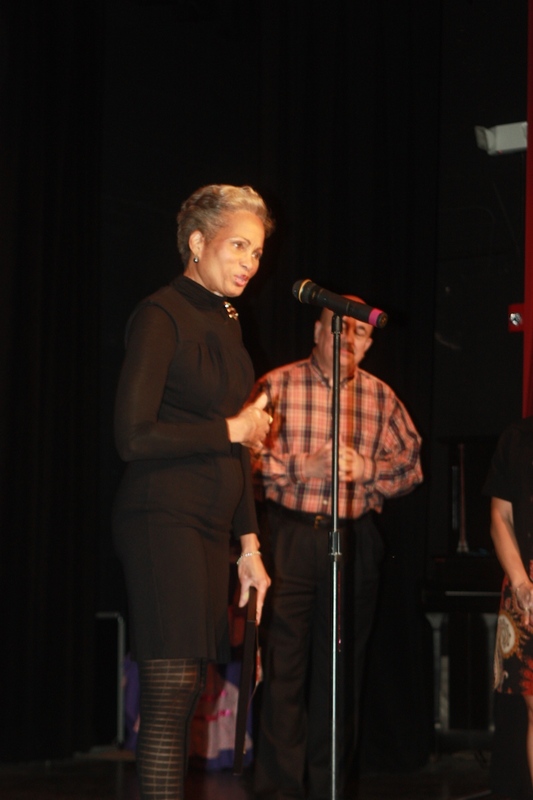 Her accomplishments are many and include raising over $10,000 in funds through art for disaster relief in Haiti, being featured in numerous publications and on Texas Country Reporter, and being showcased in a National Endowment for the Arts-funded Folklife project through the Institute of Texan Cultures. 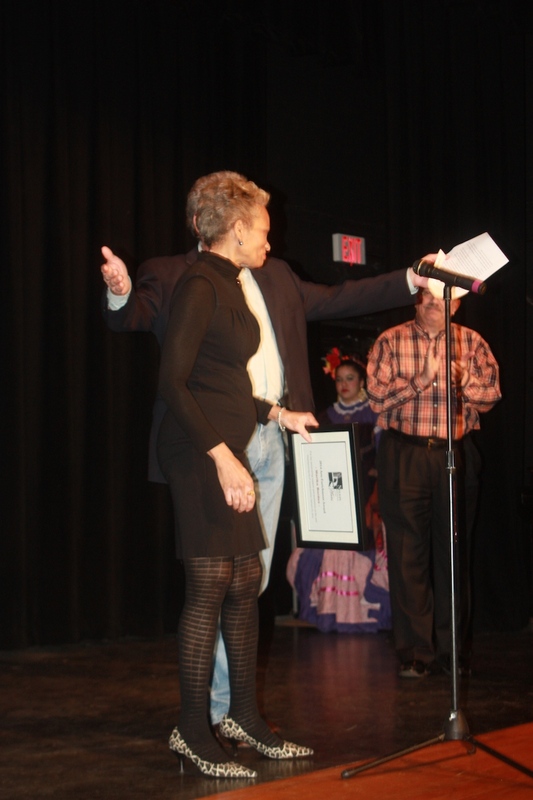 Through the years and in spite of challenges, Marika has held on to her vision for Seguin to become known for the arts. 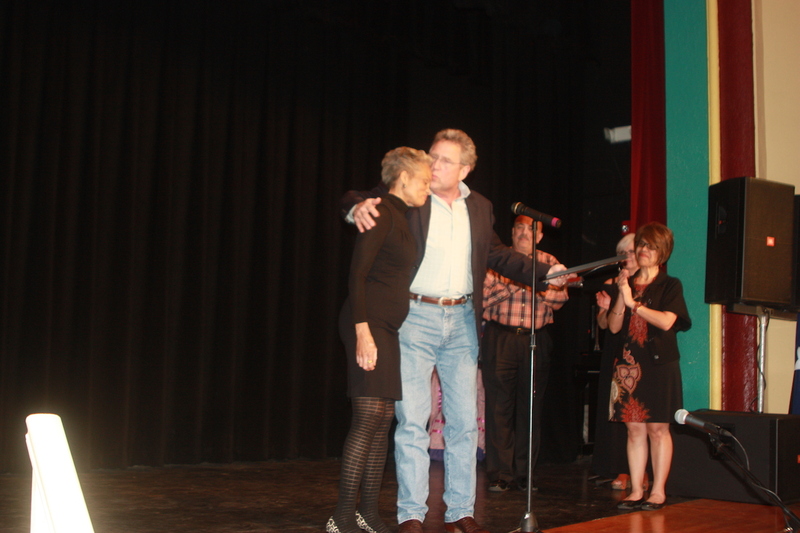 He closed saying she is very deserving of being recognized as the Outstanding Contributor to the Arts for 2014. 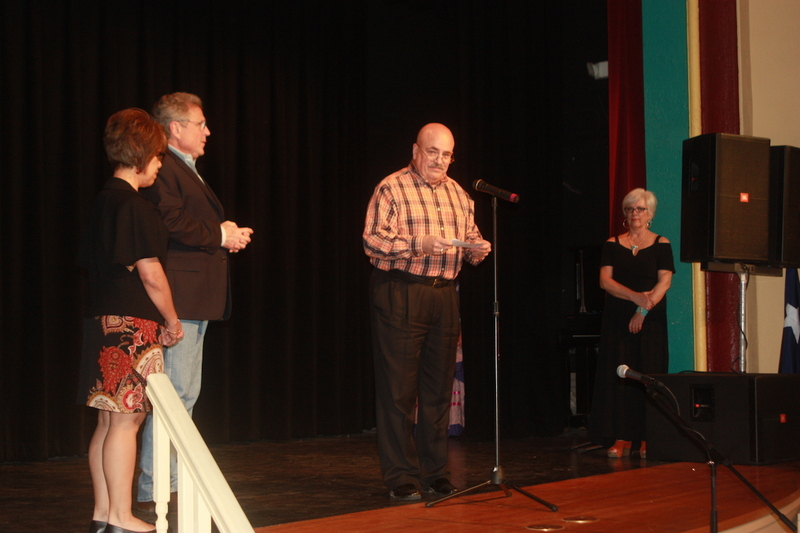 Past recipients of the recognition include the Texas Theatre and Teatro de Artes de Juan Seguin. This entry was posted in Awards, Bird Sculpture Sanctuary, Seguin Art, Seguin Texas and tagged 2014 Arts Enrichment Award, Barbara Weyland, Dennis Martin, guadalupe regional medical center, Helen Stein, Institute of Texan Cultures, marika bordes, Mayor Don Keil, Seguin Art, Seguin ArtsFest, Seguin Commission on the Arts, Steve Tschoebe, Teatro de Artes de Juan Seguin, Texas Country Reporter, Texas Theatre, Walnut Springs Park. Bookmark the permalink.